For years I was addicted trusty my old St Ives apricot scrub cleanser, and boy, do I mean YEARS! I'm talking maybe 8 years or so. But last September I snapped up a sweet little sample of this Clarins cleanser as part of a gift with purchase offer in House of Fraser and MAN, I'm addicted. I mean, I raved about this product so much that between my office Secret Santa and family I actually received 6 little miniatures for travelling and a full size product in my stocking at Christmas time. HOORAY!! 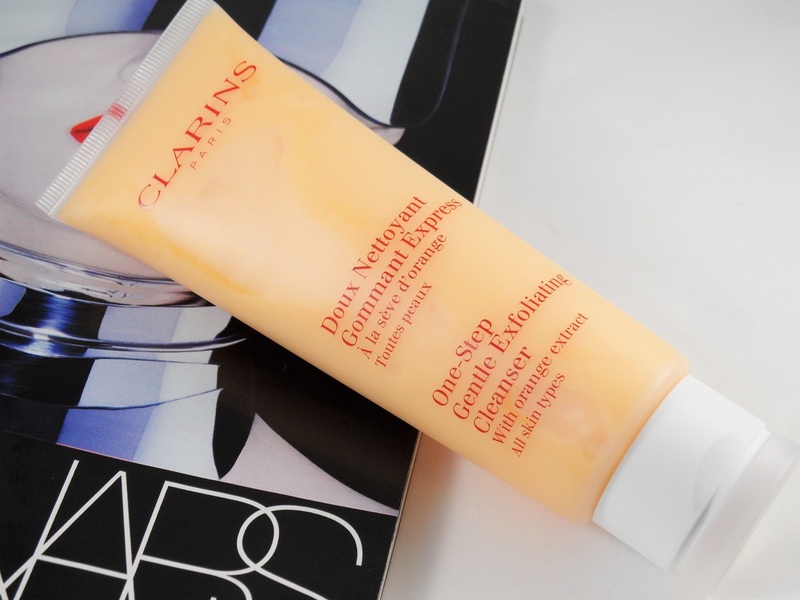 The Clarins One Step Gentle Exfoliating Cleanser (link) is a gel based exfoliating wash that melts away thick foundation and black eyeliner like a dream. I suffer with quite bumpy skin due to having acne as a teen and the one thing I love about this product is the exfoliating particles. They are tiny but powerful. I think in the past when I was using the St Ives apricot cleanser I was actually damaging my skin with the large exfoliating particles but this cleanser leaves my face feeling refreshed, bright and almost like it's been newly resurfaced without any harsh chemicals or scratching. Hitting the purse-strings with a bump at £21.00 for 125ml it is kinda pricey for me, but I can see that the 125ml tube will last me at least 2/3 months and for a product that gives me results like this one, I'm prepared to part with my cold hard pennies. Have you tried it yet? Are you tempted? What's your favourite cleanser? I'm so tempted by this. I have been using the Liz Earle one for a while but I feel I need to mix it up a bit, might give this one a try!